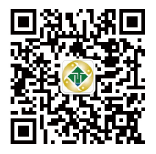 2012 Asian International Logistics technology and Transport System Exhibition was held in Shanghai New International Expo Center on Oct 29th, 2012. QCPAC took several recycling packaging for exhibition-clip lock box,collapsible plywood box,pallet collars,heavy duty carton etc.Marketing director Mr.Huang Jun led marketing department, technology department and planning department to advertise our green packaging concept and show our packagings. As the main products advertised -clip lock box and stereo storehouse pallets attract many customers.